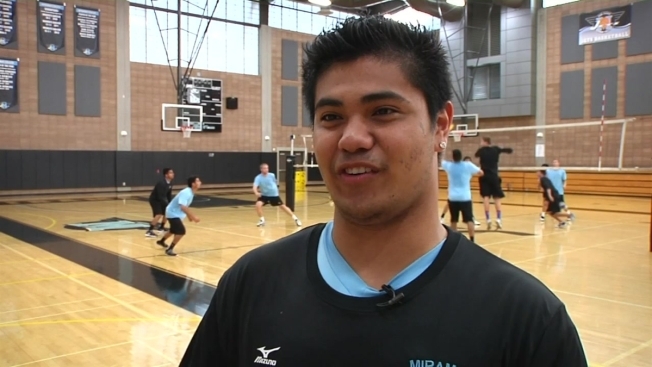 Local Volleyball Player Gets A Shot On "The Voice"
Miramar College started up a men's volleyball team this year. One of the Jets' setters might put himself on the national stage, but not because of athletics. He has another talent that's literally putting him in the spotlight. Noly Mon is, like all the rest of the players in Miramar's first-year program, a freshman. He's the guy who sets the ball for the outside hitters, but soon he might have other people enjoying his musical sets as he advances on NBC's "The Voice." He told our Derek Togerson how he got started singing and shared an important acoustical secret. You can catch the Voice blind auditions premiere at 8 p.m. Monday on NBC 7.